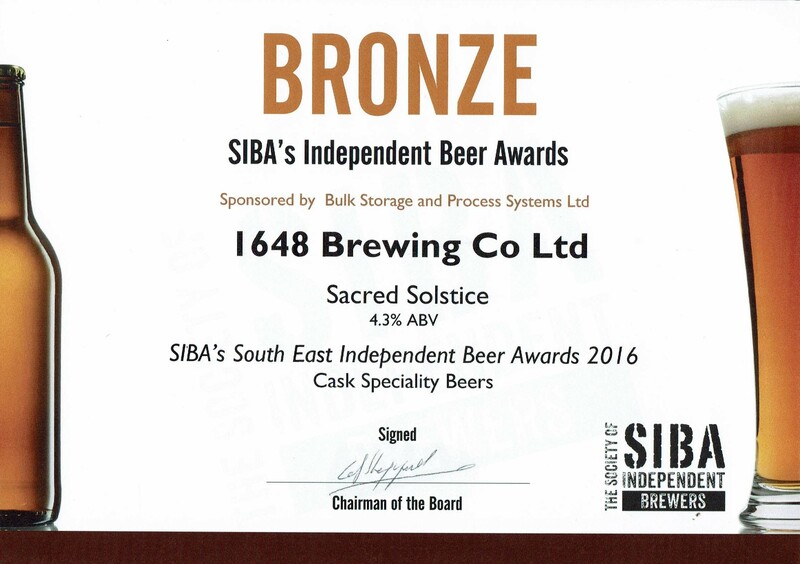 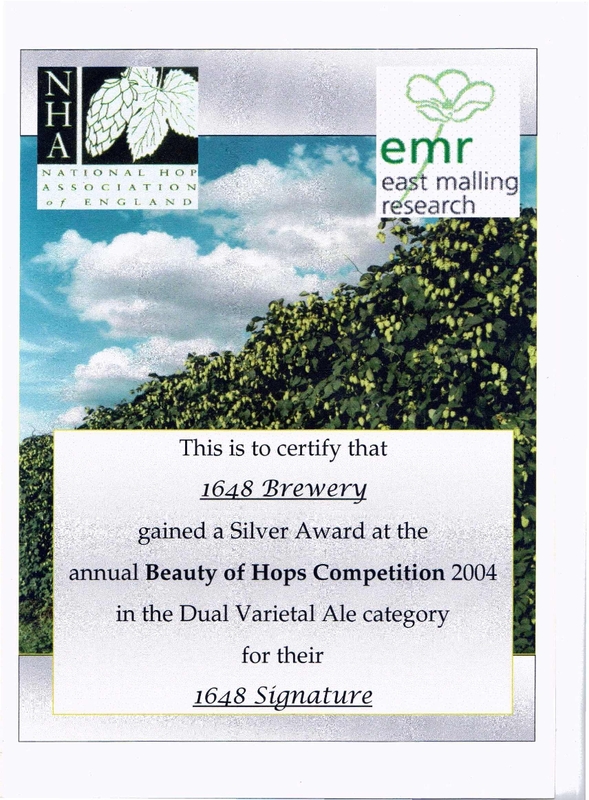 Award Winning Ales – 1648 Brewing co.
Signature won National Hop Association and Nottingham CAMRA 2004 Silvers. 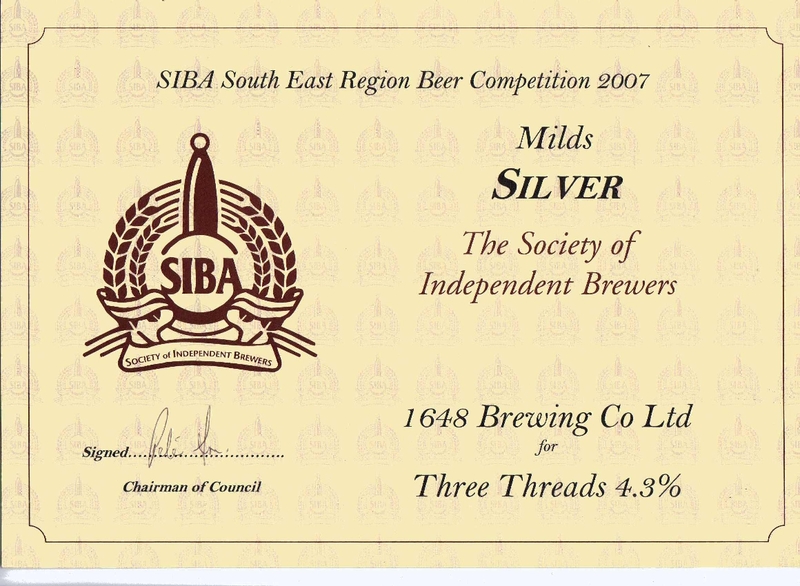 Three Threads won SIBA South East Silver for Mild 2007. 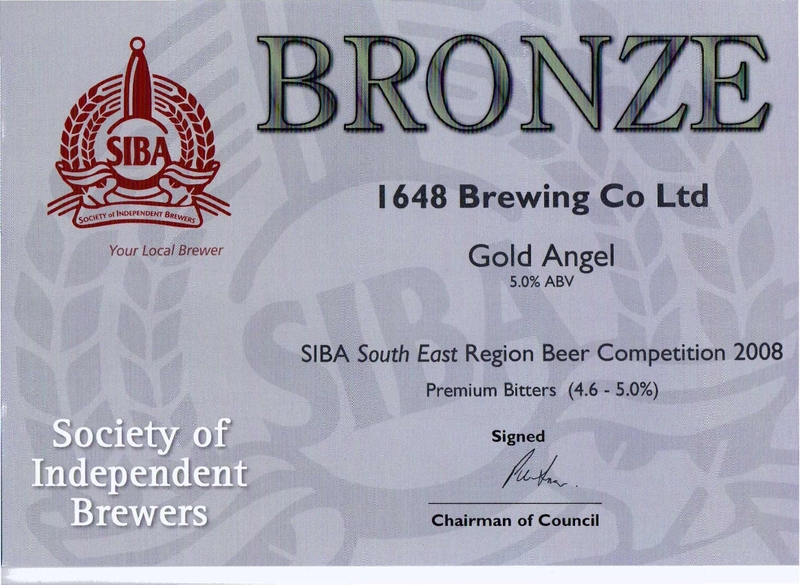 Gold Angel won SIBA South East Bronze for Premium Bitter 2008. 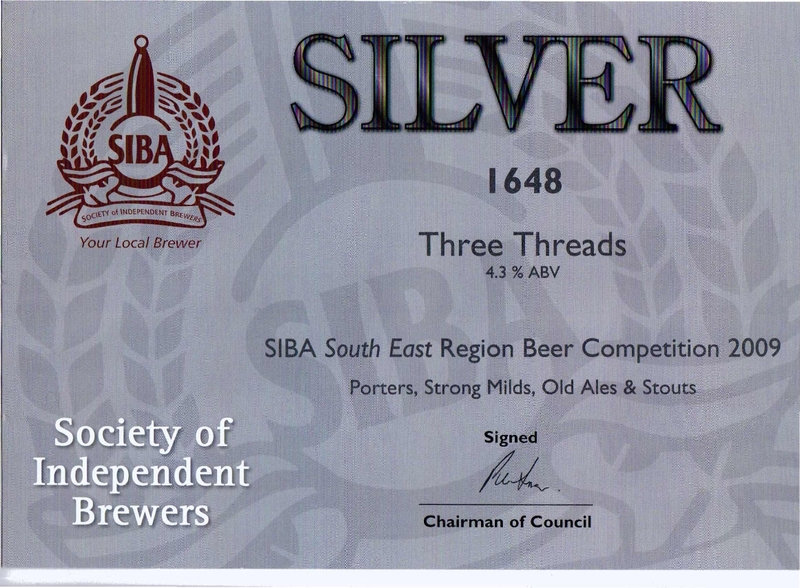 Three Threads won SIBA South East Silver for Porters, Strong Milds, Old Ales & Stouts 2009. 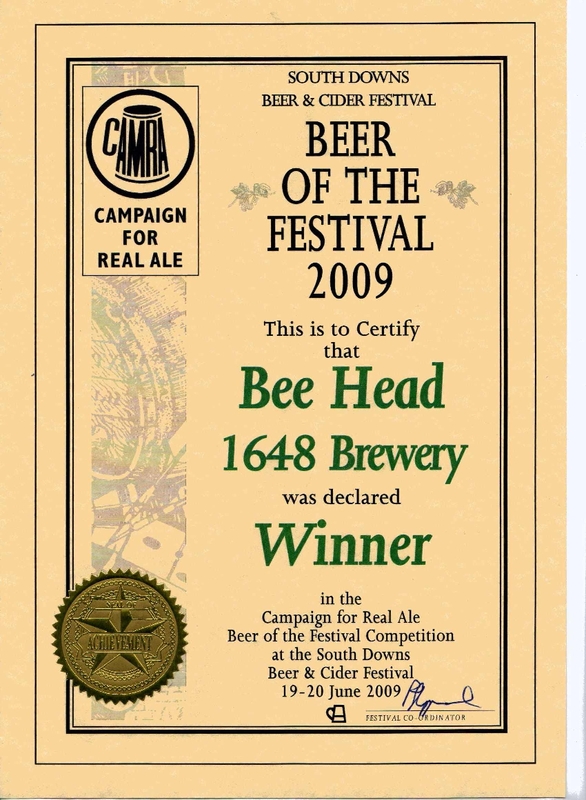 Bee Head won South Downs CAMRA Festival Beer of the Festival Winner 2009. 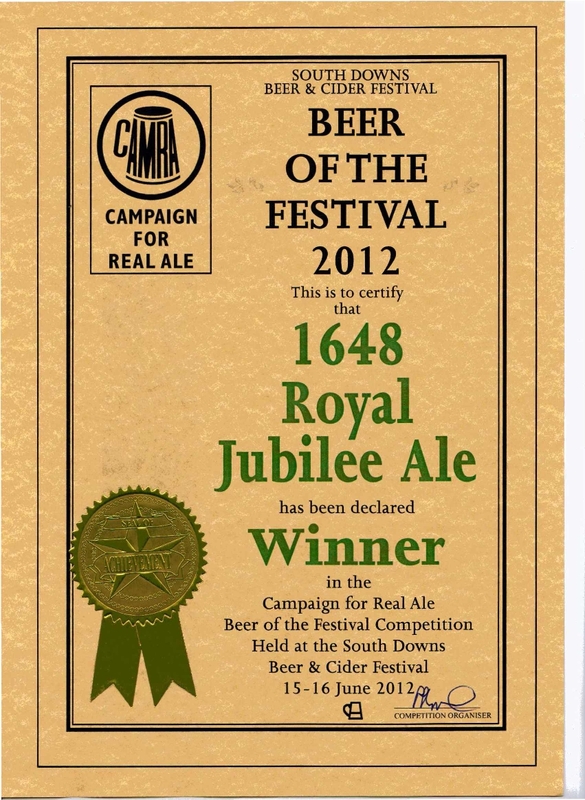 Royal Jubilee (now Royal Britannia) won South Downs CAMRA Festival Beer of the Festival winner 2012.